Unfortunately there have been a massive number of changes within the engine, which means many of the original engine files have also been changed, so if you are thinking of merging then its not going to be easy. We are currently working on documentation and what not, which unfortunately is going to take some time due to the large number of changes. That said the wait will be worth it as we believe 0.35 is our best release yet enabling developers to not only create awesome games with ease but also awesome apps with ease. I hope to spend a few additional weeks on implementing more UI controls such as sliders and tab vies etc.. before we released 0.35. Last year I was sat in the garden on the swing in the blazing son, relaxing and thinking up nonsense. I happened to think back to a chat I had with my father some years before where he said that “if there was no bad luck in the Universe then he would have no luck at all”, I found the comment quite amusing at the time. However, years later after suffering at the hands of rotten luck for a while it got me to thinking about why some are lucky and some are not. My mind is a strange one and loves a thinking challenge, so it began running through hundreds of possible theories. One theory I quite liked was the “Luck Bubbles” theory (not an official theory as far as I know). In this theory, Luck Bubbles are basically areas of luck that exist in 4-dimensional space-time. They float around and are attracted to positive thoughts / energies. If an area at a specific time has a particularly strong attraction then Luck Bubbles will congregate there for a while. Luck Bubbles change the nature of positive chance events in the area that they cover, being stronger towards their centre and tapering off towards the edges. Conversely bad luck bubbles also exist in this theory which have the exact opposite affect of good luck bubbles tending to congregate around negative energies / thoughts. So maybe luck is a state of mind? Positive thoughts could lead to better luck. Next time you put the lottery on or release a new app, think positive just in case. StackPanels – The top left hand control is a vertical stack panel containing 3 horizontal stack panels. 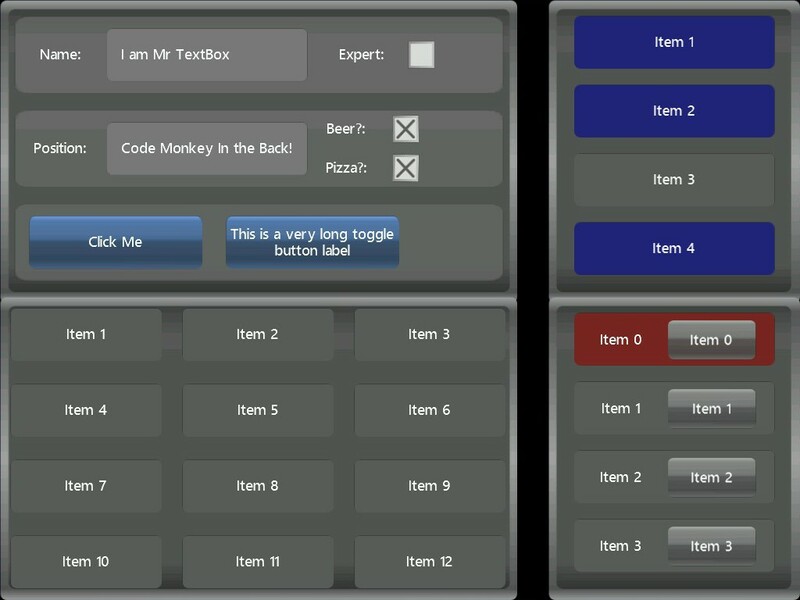 Each horizontal stack panel contains multiple basic UI components including buttons, labels and text input boxes. The check boxes and the long named button are toggle buttons. The top stack panel and the components within the panel have been draggable so they can be dragged away from the stack panel and moved around. Tapping the Expert check box will spin the control 360 degrees using an animation time line. 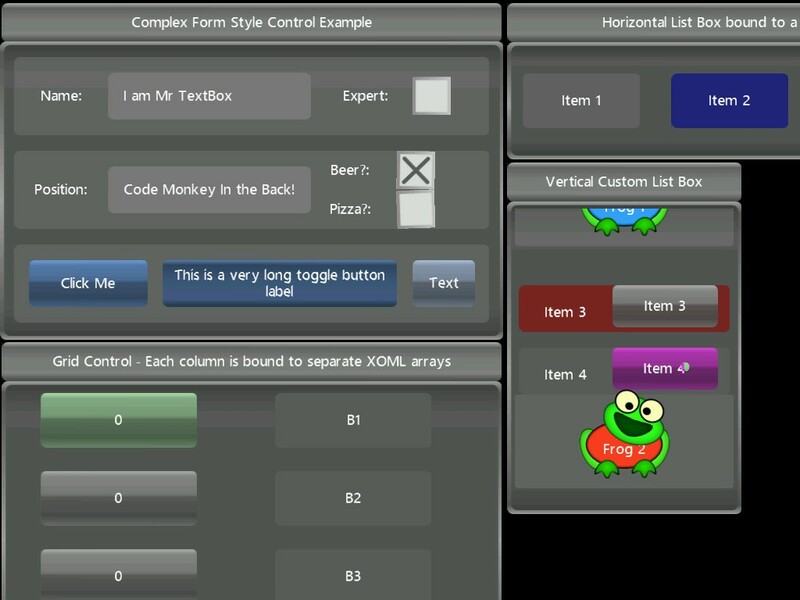 One of the buttons and two of the check boxes also have animation time lines applied to them. The UI controls themselves can be moved around and placed anywhere in the scene. the whole scene can also be moved around. Well that’s it for now. We will be adding more and more features to the UI over the coming weeks and will keep you updated.